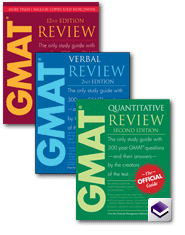 In the past, several people have asked me to publish advice and help on the dreaded GMAT exam. 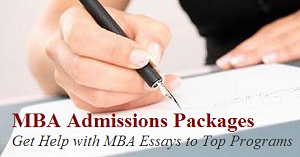 When I was applying, I had zero time to offer this kind of help. Now, I am able to provide some occasional practice questions and solutions based on having slightly more time than I did before and some generous friends of mine who have offered to pony up free questions and answers. Here’s your first batch; I hope that it helps! 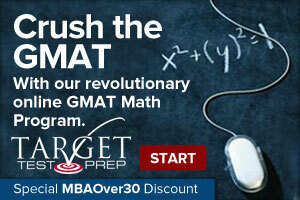 For more GMAT help, inquire here. Which of the following is equivalent to for all values of a and b for which the expression is defined? Notice that a100-b100 is in the form of a difference of squares because a100 is the square of a50 and b100 is the square of b50. Thus . If p and q are integers greater than zero, what is the value of pq? 1) The least common multiple of p and q is 240. 2) The greatest common factor of p and q is 8. We need to determine the value of pq. Þ The least common multiple of p and q is 240. This tells us the smallest number that both p and q will divide into is 240. This is not enough information to determine the value of pq because there are multiple values of p and q that have an LCM of 240. For example, 15 and 16 have an LCM of 240, and 60 and 80 have an LCM of 240. Statement one alone is not sufficient. Eliminate answer choices A and D.
Þ The greatest common factor of p and q is 8. This tells us the largest number that will divide into p and q is 8. That is, 8 is the largest factor that p and q share. This is not enough information to determine the value of pq because there are multiple values of p and q with a GCF of 8. For example, the GCF of 16 and 24 is 8, and so is the GCF of 24 and 32. Statement two alone is not sufficient. 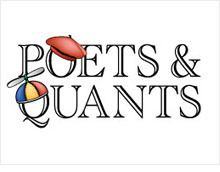 It must be true that LCM(p, q) x GCF(p, q) = pq. Thus, pq = 240 ´ 8 = 1,920. Both statements together are sufficient to answer the question. thanks! look forward for more…..
More is on the way! Stay tuned.